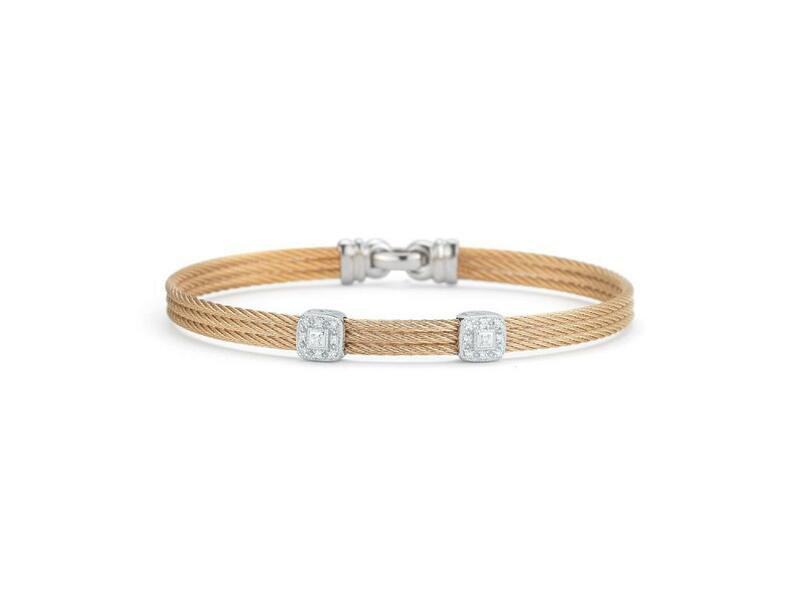 Perfectly designed at the perfect price, this ALOR Classique Bangle in alternating white and yellow gold cable style bangles is precisely joined with two diamond studded stations that add further beauty to the overall bangle. Available in a variety of sizes to fit most wrists, this bangle will bring a smile to her face and a sparkle to her wrist. Order one for that special someone who deserves the best in your life. Great for birthdays, anniversaries, and even the holidays. Order one for each special lady in your life. 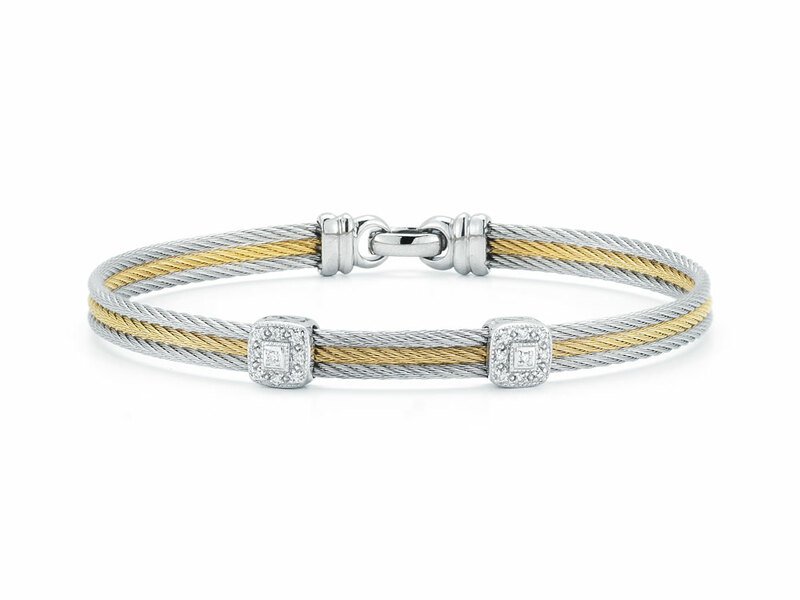 Grey cable and yellow cable 3 row 1.6 mm, 18 karat White Gold, 0.09 total carat weight Diamonds with stainless steel. Imported.